Steve will be joining Fr. 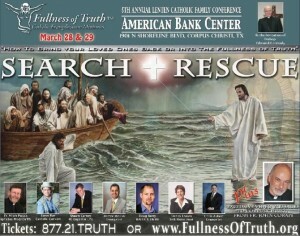 Mitch Pacwa, Dr. Scott Hahn, Teresa Tomeo, and many others in Corpus Christi, TX. Please join us or let others in the area know about the conference. Walk for Life & Talks in S.F. American History Quiz-So Few Know These Things Today! Tonight I was the guest on Catholic Answers Live Monday night from 6-7 PM Eastern time. Our topic was the relationship between Ss. Peter and Paul. For more info or to view the options for listening to the archived show, click here. To listen to the archived show on RealAudio, click here. Want to See the REAL Shroud?